The Township's annual street sweeping program is underway, with crews deployed in neighborhoods across town. This year's effort began on March 14, with three sweepers assigned to remove sand, salt and other debris from 260 miles of municipal roads. Because of weather and other factors, a detailed sweeping schedule is not available; rest assured if you have not yet seen a sweeper, it will be coming your way within the next few weeks. Weather-permitting, each street will be swept twice. As of mid-April, this year's effort had yielded more than 1,100 cubic yards of debris, and we expect the final numbers to far exceed 2013 totals due to the unprecedented winter. Again, municipal crews are advancing through Cherry Hill's neighborhoods as quickly and efficiently as possible. 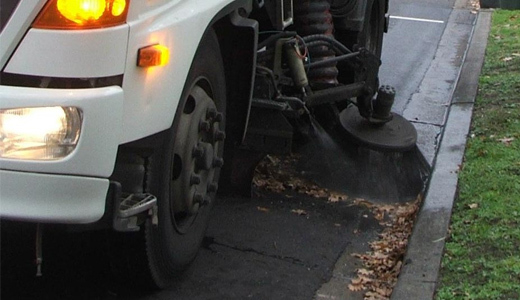 If you have questions or concerns about the 2014 street sweeping program, contact the Department of Public Works at (856) 424-2244.